Josephine Hurst has her family under control. With two beautiful daughters, a brilliantly intelligent son, a tech-guru of a husband and a historical landmark home, her life is picture perfect. She has everything she wants; all she has to do is keep it that way. But living in this matriarch's determinedly cheerful, yet subtly controlling domain hasn't been easy for her family, and when her oldest daughter, Rose, runs off with a mysterious boyfriend, Josephine tightens her grip, gradually turning her flawless home into a darker sort of prison. Resentful of her sister's new-found freedom, Violet turns to eastern philosophy, hallucinogenic drugs, and extreme fasting, eventually landing herself in the psych ward. Meanwhile, her brother Will shrinks further into a world of self-doubt. Recently diagnosed with Aspergers and epilepsy, he's separated from the other kids around town and is home-schooled to ensure his safety. Their father, Douglas, finds resolve in the bottom of the bottle - an addict craving his own chance to escape. Josephine struggles to maintain the family's impeccable facade, but when a violent accident leads to a visit from child protection services, the truth about the Hursts might finally be revealed. Mother, Mother tells the story of a dysfunctional family, to put it lightly. The family is composed of an absent father, a controlling mother, an older daughter who ran away years earlier, a drug addict daughter (that may or may not be suicidal), and a younger son with Aspergers and epilepsy. The story begins when Violet, the middle child, is taken to a psychiatric hospital after an acid trip. Her mother claims she hurt her brother's (William) hand severely, that she is frightened for their lives. 12-year-old William echoes her words. Violet recalls none of the sort. But then again, she barely remembers anything at all from that night. And yet, she has reason to believe her mother is behind the whole ordeal. Perhaps behind even more than that. First and foremost, let it be known that I am not a usual reader of psychological thrillers. In fact, I believe this may have been the first book I ever read in this genre. I was pleasantly surprised. This is the kind of book that once you begin to read, you have to will yourself to put down. "Just one more chapter" was something I murmured quite a lot to myself while reading it. That does not mean the book is flawless, however. But let's take this point by point. When it comes to the plot, a lot of what was going to happen was predictable, but it did not detract from my enjoyment. Perhaps because it felt natural that the story would unravel the way it did. Yet, there was something off about the ending itself, which, for the life of me, I cannot put my finger on. As for the characters, they felt very organic and diverse in thinking and acting, while sharing some key characteristics. As it should be in the portrayal of a family. They represented various types of addictions, various "issues" in society that are not very often discussed. With another writer, I would not be stunned if it felt overwhelming. That was not the case with Zailckas. But, once again, there was something I was not 100% happy with. Whilst most characters as painted in grey, one of them is not, and seems to have no "redeeming quality". Concerning the writing itself, I applaud the usage of language and its adaptation to each of the two PoV, which were easy to distinguish. But sadly, the story had an overabundance of telling and a lack of showing. However, this was something I only noticed when I was done with the book, perhaps because I was immersed in the story. 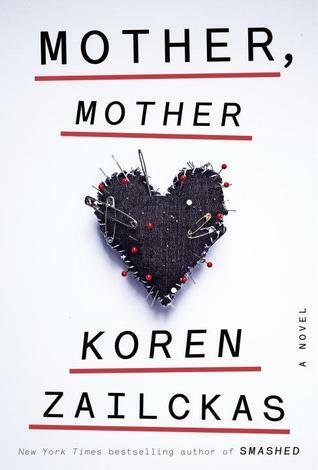 In short, Mother, Mother is a very interesting story of family, friendship, secrets, and addiction. And one I recommend as an entry to this genre. "No-one changes quicker than a person you never knew to begin with."